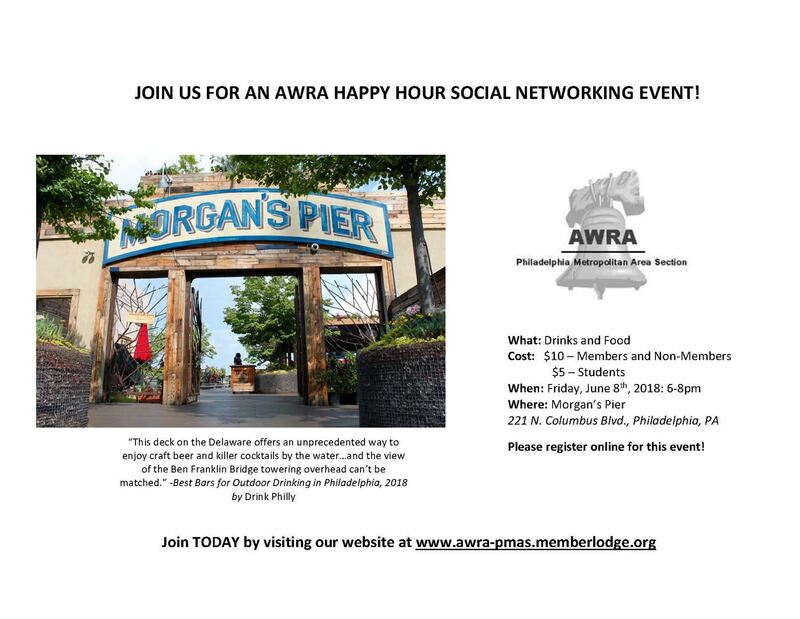 AWRA Social Networking Event and Student Scholarship Awards Event! Come join us for a happy hour networking event and celebration for this year's student scholarship recipients! Morgan's Pier is located at 221 N. Columbus Blvd. Price of entry will include 2 tickets for beverages of your choice. Light hors d’oeuvres will be provided.